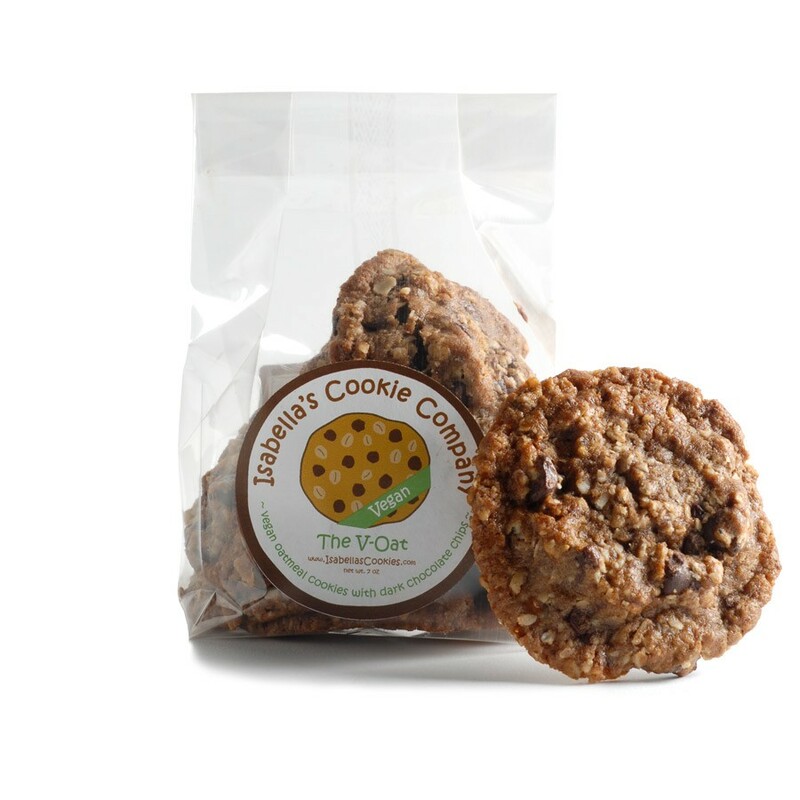 Unbleached Wheat Flour, Chocolate (Organic Sugar, Chocolate Liquor, Cocoa Butter, Soy Lecithin, Ground Vanilla Beans), Palm Fruit Oil, Whole Oats, Evaporated Cane Juice, Organic Brown Sugar, Vanilla, Soy Lecithin, Baking Soda, Salt, Xantham Gum. 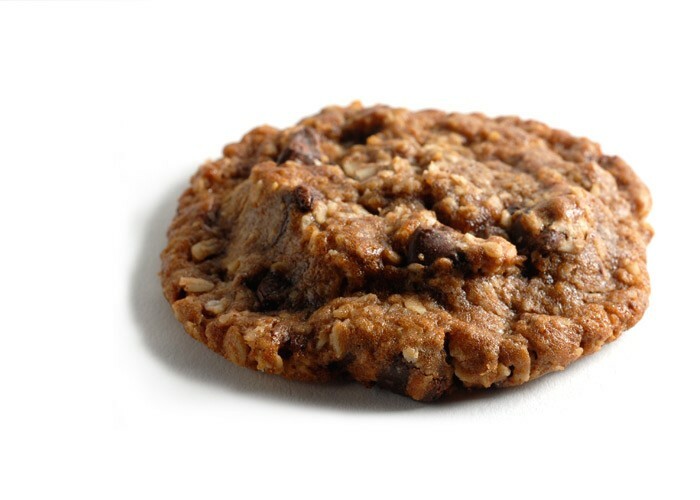 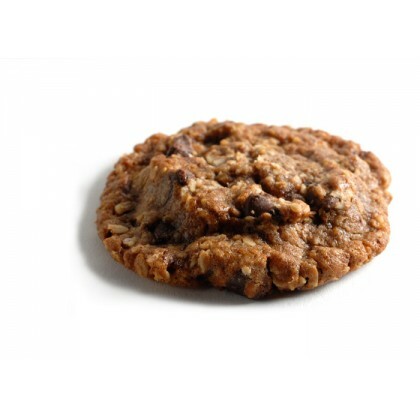 This vegan cookie combines the soft cinnamon-y goodness of an oatmeal cookie with the rich indulgence of dark chocolate. 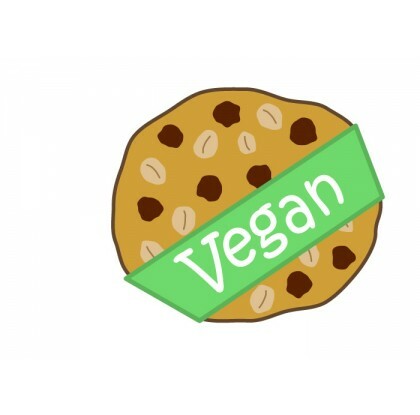 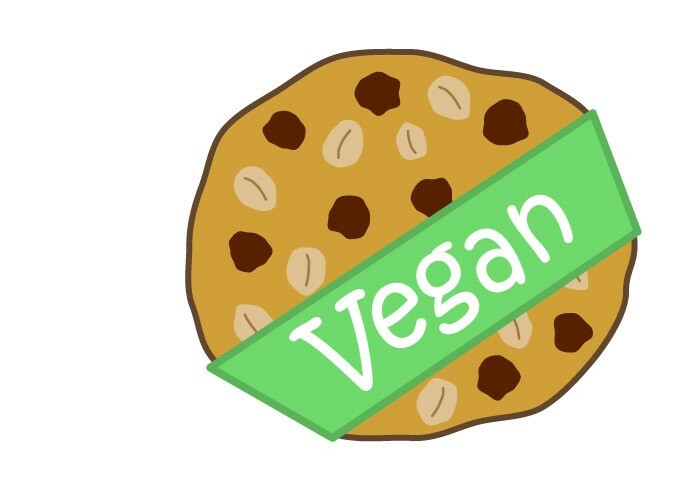 This cookie makes everyone happy.